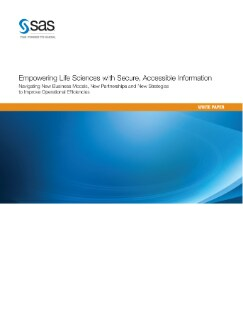 To adapt to regulatory and market pressures, life sciences companies must redefine the way they manage their essential data assets. The companies that thrive in the future will be the ones that can gather scientific, clinical and business information from many different sources; pool the relevant information in a central place; and provide controlled, real-time access to those who need to examine, analyze and report on the information. The desired state parallels the hub-and-spoke model in the airline industry, with the centralized information repository representing the hub and the various users and uses of that information being the spokes. This white paper describes five keys to achieving this model, and the benefits it delivers.